We’re excited to introduce our latest book, Advanced Apple Debugging & Reverse Engineering. See what’s inside, and learn how to grab your pre-order discount! We revealed the book at our third annual tutorial conference, RWDevCon 2017, and the book is now available for pre-order on the raywenderlich.com store! When you pre-order, you’ll get the early-access PDF version of the book, with a full four sections, 24 chapters and two full appendices, including complete source code for all the projects and scripts in the book. You’ll also get a free upgrade to the full PDF version of the book when it’s released in mid-May, 2017. To celebrate the launch of the book, we’re offering a great pre-order discount on the book through our store. Read on to see what the book is all about, and how to grab your discount! 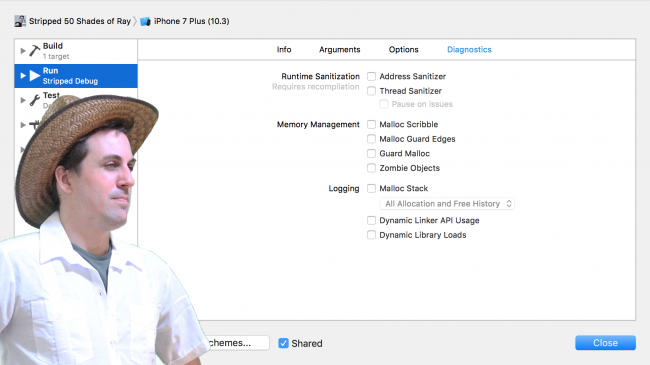 What is Advanced Apple Debugging & Reverse Engineering? Debugging has a rather bad reputation. If the developer had a complete understanding of the program, there wouldn’t be any bugs and they wouldn’t be debugging in the first place, right? There are always going to be bugs in your software — or any software, for that matter. No amount of test coverage imposed by your product manager is going to fix that. In fact, viewing debugging as just a process of fixing something that’s broken is actually a poisonous way of thinking that will mentally hinder your analytical abilities. The same thing applies to reverse engineering. Images of masked hackers stealing bank accounts and credit cards may come to mind, but for this book, reverse engineering really is just debugging without source code — which in turn helps you gain a better understanding of a program or system. In this book, you’ll come to realize debugging is an enjoyable process to help you better understand software. Not only will you learn to find bugs faster, but you’ll see how other developers have solved problems similar to yours. You’ll also learn how to create custom, powerful debugging scripts that will help you quickly find answers to any item that piques your interest, whether it’s in your code — or someone else’s. Getting Started: In this chapter, you’re going to get acquainted with LLDB and investigate the process of introspecting and debugging a program. You’ll start off by introspecting a program you didn’t even write — Xcode! Help & Apropos: Just like any respectable developer tool, LLDB ships with a healthy amount of documentation. Knowing how to navigate through this documentation — including some of the more obscure command flags — is essential to mastering LLDB. Attaching with LLDB: Now that you’ve learned about the two most essential commands, help and apropos, it’s time to investigate how LLDB attaches itself to processes. You’ll learn all the different ways you can attach LLDB to processes using various options, as well as what happens behind the scenes when attaching to processes. Stopping in Code: Whether you’re using Swift, Objective-C, C++, C, or an entirely different language in your technology stack, you’ll need to learn how to create breakpoints. It’s easy to click on the side panel in Xcode to create a breakpoint using the GUI, but the LLDB console can give you much more control over breakpoints. Expression: Now that you’ve learned how to set breakpoints so the debugger will stop in your code, it’s time to get useful information out of whatever software you’re debugging. In this chapter you’ll learn about the expression command, which allows you to execute arbitrary code in the debugger. Thread, Frame & Stepping Around: You’ve learned how to create breakpoints, how to print and modify values, as well as how to execute code while paused in the debugger. But so far you’ve been left high and dry on how to move around in the debugger and inspect data beyond the immediate. In this chapter, you’ll learn how to move the debugger in and out of functions while LLDB is currently paused. Image: It’s time to explore one of the best tools for finding code of interest through the powers of LLDB. In this chapter, you’ll take a deep dive into the image command. Persisting & Customizing Commands: In this chapter, you’ll learn how to persist these choices through the .lldbinit file. By persisting your choices and making convenience commands for yourself, your debugging sessions will run much more smoothly and efficiently. This is also an important concept because from here on out, you’ll use the .lldbinit file on a regular basis. Regex Commands: In the previous chapter, you learned about the command alias command as well as how to persist commands through the lldbinit file. Unfortunately, command alias has some limitations. The LLDB command command regex acts much like command alias, except you can provide a regular expression for input which will be parsed and applied to the action part of the command. Assembly Register Calling Convention: Now you’ve gained a basic understanding of how to maneuver around the debugger, it’s time to take a step down the executable Jenga tower and explore the 1s and 0s that make up your source code. This section will focus on the low-level aspects of debugging. Assembly & Memory: In this chapter, you’ll explore how a program executes. You’ll look at a special register used to tell the processor where it should read the next instruction from, as well as how different sizes and groupings of memory can produce very different results. Assembly and the Stack: What does being “passed on the stack” mean exactly? It’s time to take a deeper dive into what happens when a function is called from an assembly standpoint by exploring some “stack related” registers as well as the contents in the stack. Learn how to reverse engineer code like a boss! Hello, Ptrace: As alluded to in the introduction to this book, debugging is not entirely about just fixing stuff. Debugging is the process of gaining a better understanding of what’s happening behind the scenes. In this chapter, you’ll explore the foundation of debugging, namely, a system call responsible for a process attaching itself to another process: ptrace. Dynamic Frameworks: With dynamic frameworks comes a very interesting aspect of learning, debugging, and reverse engineering. Since you have the ability to load the framework at runtime, you can use LLDB to explore and execute code at runtime, which is great for spelunking in both public and private frameworks. Hooking & Executing Code with dlopen & dlsym: It’s time to learn about the complementary skills of developing with these frameworks. In this chapter, you’re going to learn about methods and strategies to “hook” into Swift and C code as well as execute methods you wouldn’t normally have access to. Exploring and Method Swizzling Objective-C Frameworks: You’ll cap off this round of dynamic framework exploration by digging into Objective-C frameworks using the Objective-C runtime to hook and execute methods of interest. Hello Script Bridging: Next up in the tradeoff between convenience and complexity is LLDB’s script bridging. With script bridging, you can do nearly anything you like. Script bridging is a Python interface LLDB uses to help extend the debugger to accomplish your wildest debugging dreams. Debugging Script Bridging: You need a methodical way to figure out what went wrong in your LLDB script so you don’t pull your hair out. In this chapter, you’ll explore how to inspect your LLDB Python scripts using the Python pdb module, which is used for debugging Python scripts. Script Bridging Classes and Hierarchy: You’ve learned the essentials of working with LLDB’s Python module, as well as how to correct any errors using Python’s PDB debugging module. Now you’ll explore the main players within the lldb Python module for a good overview of the main parts. In this chapter, you’ll add some arguments to this script and deal with some annoying edge cases, such handling commands differently between Objective-C and Swift. Script Bridging with Options & Arguments: When you’re creating a custom debugging command, you’ll often want to slightly tweak functionality based upon options or arguments supplied to your command. A custom LLDB command that can do a job only one way is a boring one-trick pony. In this chapter, you’ll explore how to pass optional parameters (aka options) as well as arguments (parameters which are expected) to your custom command to alter functionality or logic in your custom LLDB scripts. Script Bridging with SBValue & Memory: So far, when evaluating JIT code (i.e. Objective-C, Swift, C, etc. code that’s executed through your Python script), you’ve used a small set of APIs to evaluate the code. It’s time to talk about a new class in the lldb Python module, SBValue, and how it can simplify the parsing of JIT code output. SB Examples, Improved Lookup: For the rest of the chapters in this section, you’ll focus on Python scripts. As alluded to in the previous chapter, the image lookup -rn command is on its way out. When you finish this chapter, you’ll have a new script named “lookup” which queries in a much cleaner way. SB Examples, Resymbolicating a Stripped ObjC Binary: When LLDB comes up against a stripped executable (an executable devoid of DWARF debugging information), LLDB won’t have the symbol information to give you the stack trace. Instead, LLDB will generate a synthetic name for a method it recognizes as a method, but doesn’t know what to call it. In this chapter, you’ll build an LLDB script that will resymbolicate stripped Objective-C functions in a stack trace. SB Examples, Malloc Logging: For the final chapter in this section, you’ll go through the same steps I myself took to understand how the MallocStackLogging environment variable is used to get the stack trace when an object is created. From there, you’ll create a custom LLDB command which gives you the stack trace of when an object was allocated or deallocated in memory — even after the stack trace is long gone from the debugger. This book is for intermediate to advanced developers who want to take their debugging and code exploration game to the next level. 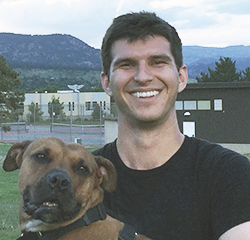 Derek Selander became interested with debugging when he started exploring how to make (the now somewhat obsolete) Xcode plugins and iOS tweaks on his jailbroken phone, both of which required exploring and augmenting programs with no source available. In his free time, he enjoys pickup soccer, guitar, and playing with his two doggies, Jake & Squid. There’s one final piece of good news. You can get the PDF version of the book for only $44.99 when you buy it through our online store. That’s $10 off the cover price! But this offer won’t be around forever, so grab it while you can. The Advanced Apple Debugging & Reverse Engineering team and I hope you enjoy the book — and we can’t wait to hear about your debugging and reverse engineering adventures! 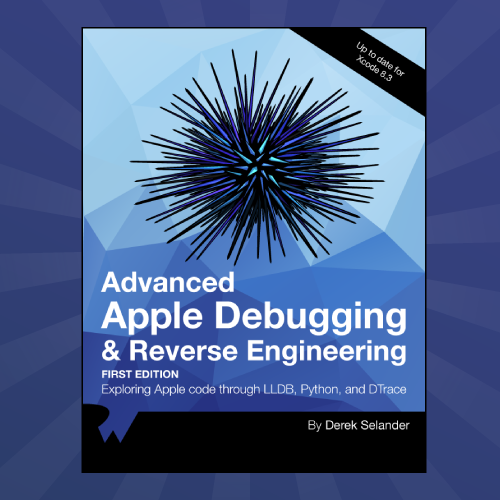 We’re excited to introduce our latest book, Advanced Apple Debugging &amp; Reverse Engineering. See what’s inside, and learn how to grab your pre-order discount!